This week I visited the 400 Years of Caribbean Contribution to British Heritage and Culture exhibition at Solihull Central Library. It is a fine collection of images and information about the role played by people from the Caribbean and people of Caribbean heritage, in some of the landmark events in British history. Much of the exhibition is concerned with military and martial concerns. An early stage depicts a private of the 5th West India Regiment in 1812 while a section entitled black mariners shows an image of a relief mural from the base of Nelson’s Column showing a black seaman. Naturally, large sections are dedicated to the Second World War and of course, the First, which is what prompted my interest. Much of it is biographical, with pictures, newspaper clippings and poetry dedicated to well known figures such as Walter Tull, and some (undeservedly) less celebrated ones. Winston Churchill Millington, born in Barbados in 1893, was a member of that particular generation to have been old enough to fight in the First World War and young enough to don a uniform again for the Second. 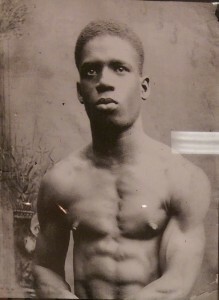 He served in the new British West Indies regiment after working in a school prior to the outbreak of war. The appeal to men like Millington is illustrated on panels that feature the recruitment techniques used to raise volunteers. 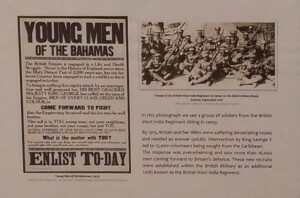 This includes general approaches, such as the ‘Empire Needs Men’ poster, as well as direct and focused campaigns, here depicted in a poster appealing to men of the Bahamas. The exhibition is on display at the Heritage Gallery (Solihull Central Library) until Friday 31st July 2015. Admission is free and opening times are: Monday and Thursday 9am – 3pm. Tuesday and Friday 9am – 6pm. Wednesday 10am – 6pm. Saturday 9am – 5pm. Sunday Closed. The Battle of Neuve Chapelle was the first of the British spring offensives in 1915, when the Allied commanders were keen to escape the static conditions that had emerged and break through the German lines. They had planned simultaneous French and British attacks but when the British commander, Sir John French, requested reinforcements he was given territorials rather than regulars. This, and a sense that they were already over committed, prompted the French commander to call off his troops’ involvement, leaving the British on their own. Sir John decided to press on in any case (partly to impress the French following British failures to take ground in December 1914) and announced that the attack would take place at the ruined village of Neuve Chapelle in the Artois region of northern France and that Sir Douglas Haig would lead troops from the First Army (the IV Corps and the Indian Corps) in an effort to break through at Neuve Chapelle and capture the village of Aubers. 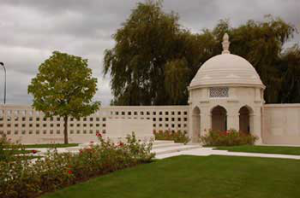 The German lines at Neuve Chapelle formed a salient, upon which Haig intended to converge his troops, the IV Corps (commanded by Lt. Gen Sir Henry Rawlinson) on one side, the Meerut and Lahore Divisions of the Indian Corps (commanded by Lt. Gen Sir James Willcocks) on the other. It would also be one of the first examples of the use of air power in warfare, with eighty-five aircraft conducting aerial reconnaissance, photography and cartography to aid the artillery bombardment. On the morning of the 10th March 1915, following a thirty-five minute bombardment from hundreds of guns, the infantry launched their attack. A further barrage of artillery fire was committed behind the German trenches to prevent reinforcements from joining after the British attack. 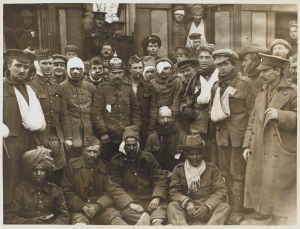 Sepoys of the Garhwal Brigade rushed across no-mans-land to seize Neuve Chapelle, taking 200 German soldiers prisoner. The village itself being taken less than an hour after the start of the assault and five of the eight assault battalions achieved their objectives with minimal losses. Many battalions were almost unscathed. In some areas the fighting was hand-to-hand. In the initial phase of the attack, everything seemed to be going in the British favour. However, the commanders were unable to secure the breaches they had made in the German lines and were hampered by poor communications and the loss of field commanders, leaving poorly-briefed NCOs in charge of some units. Further progress and made the remaining push difficult and uneven. In particular, the northern sector, closest to Aubers itself, had managed to escape the British bombardment and the German lines remained intact. Every one of the thousand troops that advanced towards it was killed. Two German machine guns managed to kill hundreds of soldiers of the 2nd Scottish Rifles and the 2nd Middlesex, while other British troops lost their way in the confusion. Poor communication meant that the artillery couldn’t be informed of the situation in the front and were unable to respond, leaving the advancing troops to the mercy of the German guns. The battle went on for several days. On the fourth day, many of the surviving troops had to be roused ‘by force’ from sleep, a task made all the more difficult because they lay among corpses, indistinguishable at first glance from the sleepers. Several problems emerged from the battle. The push took the infantry further away from their supply lines, isolating them and pushing the Germans further into their own territory. The more the British pushed, the worse they found things and, in terms of supply, the better things were for the Germans. 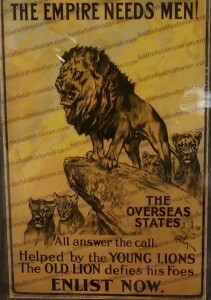 Crucially, the push towards German lines took the British away from their lines of communication. They could lay telephone cables as they went, but these were easily cut by bombardment. Pigeons, flags and runners were ineffective and easily cut down. Relaying information to command, five miles behind the front, and back again to the advancing troops took eight or nine hours, meaning that effective, fluid commands were impossible. In addition, the men who led the attack were exhausted by the time they got to the German lines, making follow-throughs difficult. Reinforcements were difficult to supply, not least because of the poor communications. A small salient, 2,000 yards wide by 1,200 yards deep had been taken and 1,200 German soldiers captured. 40,000 Allied troops took part during the battle and suffered 7,000 British and 4,200 Indian casualties. Similar losses were suffered by the Germans, setting the pattern for the slow, attritional nature of trench warfare. Ten Victoria Crosses were awarded for conspicuous bravery in the battler. Among the recipients was Gabar Singh Negi of the 2nd/39th Gharwal Rifles. His entry in the London Gazette reads: For most conspicuous bravery on 10 March, 1915, at Neuve Chapelle. During our attack on the German position he was one of a bayonet party with bombs who entered their [the German] main trench, and was the first man to go round each traverse, driving back the enemy until they were eventually forced to surrender. He was killed during this engagement’. His name is among those recorded on the memorial at Neuve Chapelle. He was nineteen. Had the aim of the battle simple been to restore the British reputation in the eyes of the French, it would be considered a success. Perhaps even more coldly, the experience exposed the British commanders to some of the realities of trench warfare, giving them information that they could use in the development of new strategies and tactics. Reviewing the battle in his despatch to the Secretary of State for War, Sir John French attributed the success to ‘the magnificent bearing and indomitable courage[of] the troops of the 4th and Indian Corps’. Willcocks, who had served for many years in India and could speak several Indian languages, wrote that the Garhwalis ‘suddenly sprang into the very front rank of our best fighting men’. 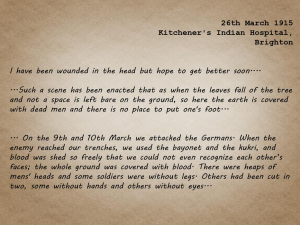 However, the impact of the losses took its toll, breaking up long-established units and, in some cases, killing officers who had worked with Indian troops and who knew and understood them, and leaving them to the care of men to whom the Indians were alien. In proportional terms, the Meerut Division lost 19 percent of its Indian soldiers d 27 percent of its British officers, while, with 575 casualties, the 47 Sikhs lost 80 percent of their fighting strength. These losses meant that, although not the last time that Indian troops would see action, Neuve Chapelle would be the last time that they were used as a striking force. It set the template for much of what was to follow. General Charteris wrote of the experience ‘I am afraid that England will have to accustom herself to far greater losses than those of Neuve Chapelle before we finally crush the German Army’. The memorial at Neuve Chapelle was erected by the Imperial War Graves Commission (now the Commonwealth War Graves Commission) in 1927. It is especially dedicated to the Indian soldiers who died in the battle and was designed with Indian culture and architecture in mind. The Centenary of the First World War provides an opportunity to build on the renewed popular interest in the war to collaborate and share expertise. Here are some of the initiatives that are offering such chances. 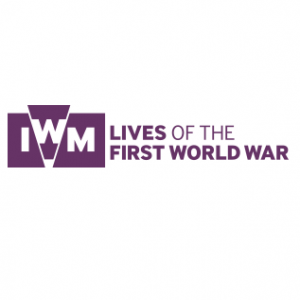 The Lives programme is the Imperial War Museum’s effort to build a permanent digital memorial to the Lives of the First World War. The site offers people the opportunity to work with the IWM to piece together more than 8 million life stories, share them, and enable IWM to save them for future generations. Each individual whose contribution to the First World War is recorded in official documents will have a personal Life Story page. Information about each person and their wartime experiences can be connected to Life Stories by members of the public who access the site. 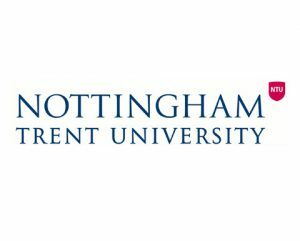 Link together evidence relating to the same person, using records from museums, libraries and archives across the world. Add references to sources they have discovered elsewhere. Upload digital images of their own precious family mementoes. Include family stories and personal knowledge. As more and more people connect facts to Life Stories, the project can begin to piece together each individual’s life story. Operation War Diary is an effort to tag, classify and understand original documents from the First World War. It brings together original First World War documents from The National Archives, the historical expertise of IWM and the power of the Zooniverse community.Working together, they and their volunteers will make previously inaccessible information available to academics, researchers and family historians worldwide, leaving a lasting legacy for the centenary of the First World War. All of the data produced by Operation War Diary will eventually be available to everyone free of charge- a lasting legacy and a rich and valuable introduction to the world of the War Diaries. The British Library archives the whole of the UK web domain under the terms of the Non-Print Legal Deposit Regulations 2013. This is done in an automated way, typically once a year. In addition, their Special Collections are groups of websites, usually more than fifty and less than four hundred, brought together on a particular theme. These have been especially compiled by curators and other subject specialist to make useful and interesting Special Collections. The First World War Centenary 2014-18 is a Special Collection that gathers suitable websites from the centenary period. 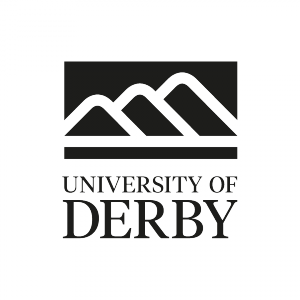 The Special Collection is open to sites that are issued from a .uk or other UK geographic top-level domain or where part of the publishing process takes place in the UK. Sites concerning film and recorded sound where the audio-visual content predominates (but, for example, web pages containing video clips alongside text or images are within scope), private intranets and emails and personal data will not be included.